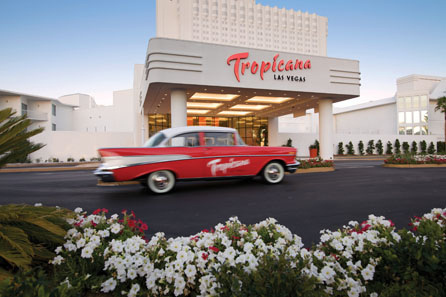 The Tropicana Lounge offers free live entertainment nightly, so with your gift, we can sip on cocktails or enjoy an evening of VIP bottle service while dazzling live musical performances provide the perfect backdrop for us to dance the night away. Whether or not it’s true that you can laugh yourself to the perfect marriage, we’re ready to laugh until it hurts at Laugh Factory! This comedy club welcomes new comedians every week and has been recognized as the No. 1 Comedy Club in the Country. Contribute to our honeymoon accommodations! We have selected to stay in one of Tropicana Las Vegas’ South Beach-inspired bungalows that are complete with custom furnishings, plantation shutters and a private balcony – the ideal space for our Vegas getaway. Contribute to our honeymoon accommodations! 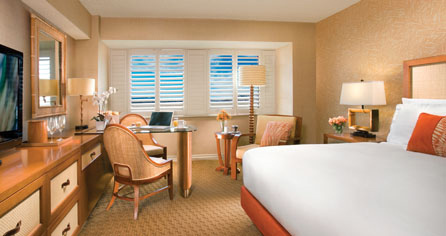 We have selected to stay in one of Tropicana Las Vegas’ South Beach-inspired City View Rooms that feature plantation shutters, custom furnishings and commanding views of the Las Vegas Strip – which can be a very romantic sight at night. Contribute to our honeymoon accommodations! 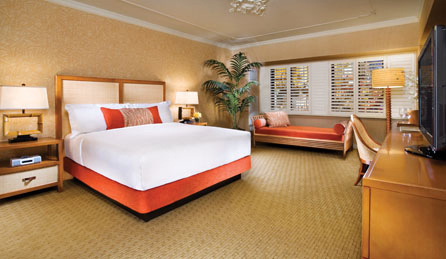 We have selected to stay in one of Tropicana Las Vegas’ Deluxe Plus Rooms, which are oversized spaces featuring plantation shutters, custom furnishings and 100 additional square feet of space for us to relax on our vacation in paradise. Contribute to our honeymoon accommodations! 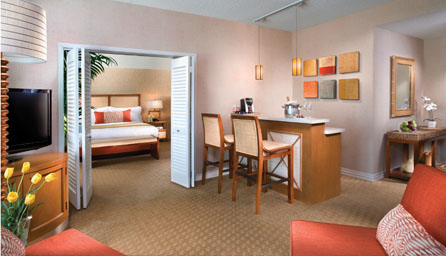 We have selected to stay in one of Tropicana Las Vegas’ Paradise Suites, which include a spacious two-room floor plan, custom furnishings, a living room with a wet bar and refrigerator and a desirable corner location with breathtaking views of the Las Vegas Strip. Contribute to our honeymoon accommodations! 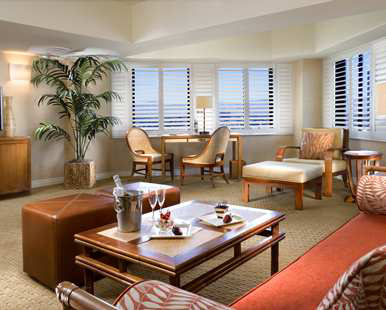 We have selected to stay in one of Tropicana Las Vegas’ Club Suites, which include a breezy, residential-style two-room floor plan, custom furnishings, a living room with a dry bar and refrigerator and stunning views. 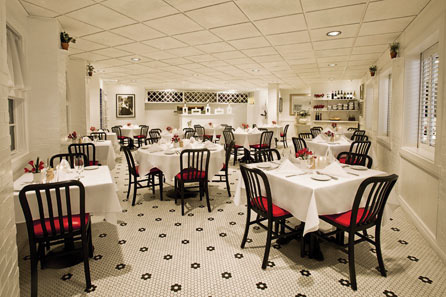 With your gift, we can enjoy a romantic dinner at Bacio® Italian Cuisine. This charming trattoria specializes in authentic Italian fare and the wine selection is carefully crafted to bring out the best in these signature dishes. 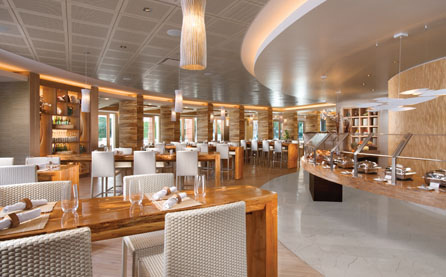 Your gift will allow us to indulge in a honeymoon breakfast, lunch or dinner at Beach Café, with the option for indoor dining in the bright and open dining room or outdoors surrounded by waterfalls, lush gardens and palm trees. 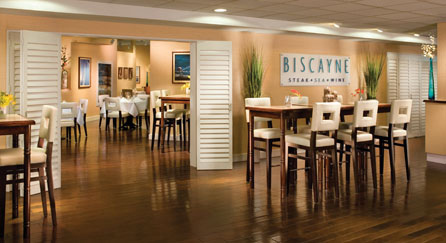 With your generous gift, we can enjoy a romantic dinner at Biscayne Steak, Sea and Wine. This award-winning restaurant is one of the top-rated steakhouses on the Strip, and its delectable menu is complemented by a 200-bottle wine list. Let’s raise a glass and toast to our new lives together at Chill’m, which offers an assortment of signature frozen cocktails, beer, wine and spirits. Discounted refills will make our night even better! With your thoughtful gift, we will be able to experience the best of Las Vegas with a Tropicana Las Vegas resort credit redeemable for RESTAURANTS: Bacio® Italian Cuisine, Beach Café, Biscayne Steak, Sea and Wine, Starbucks, The Naked Spoon, the South Beach Food Court; BARS: Tropicana Lounge, Lucky’s Sports Bar, Chill’m, Coconut Grove Bar at the Tropicana pool (seasonal); ENTERTAINMENT: Headliners in the Tropicana Theater, Laugh Factory, live music in the Tropicana Lounge; RECREATION: Glow®, a Mandara Spa and fitness center, cabana and daybed rentals (seasonal), casino, in-room amenities. 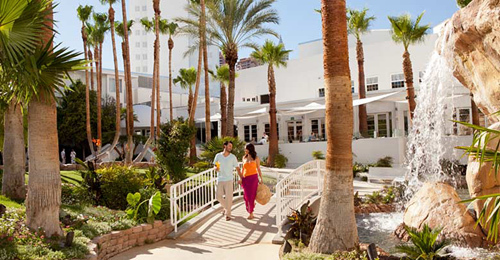 Help us reach the honeymoon destination of our dreams, Tropicana Las Vegas – a DoubleTree by Hilton, by contributing to our air and/or ground transportation! Your generous gift will allow us to spend our money the way we should by spending it on our honeymoon – relaxing, playing and of course, plenty of romantic dining! A chilled bottle of sparkling wine will be delivered to our guestroom. As we relax in our private getaway, we will make a toast to our romantic honeymoon in paradise and prepare for the excitement that’s still to come in the glamorous and romantic city of Las Vegas. With this classic massage, I am the choreographer and get to pick the way that I want it. This massage will help warm and relax my muscles, improving my range of motion from any deep muscular or joint distress. With this signature massage, warmed stones will melt away all my tension. A heated seaweed mask will detoxify and soothe my muscles, followed by a half or full-body massage. My skin will be polished with warm oil and an Exotic Lime and Ginger Salt Glow, followed by a half or full-body massage. This is a refreshing treatment that will hydrate and nourish my skin after sun exposure. Bursting with antioxidant-rich minerals and vitamins, this purifying treatment will help remove damaging toxins caused by environmental and lifestyle stressors. With this treatment, I will be polished with a blood orange and white pepper sugar scrub and hydrating body butter, followed by a half or full-body massage. This traditional coconut treatment will polish and heal my skin while I enjoy a scalp massage. This invigorating manicure uses a combination of therapeutic cooling gels and the warmth of heated stones to smooth my skin and nourish my nails. This invigorating pedicure uses a combination of therapeutic cooling gels and the warmth of heated stones to smooth my skin and nourish my nails. 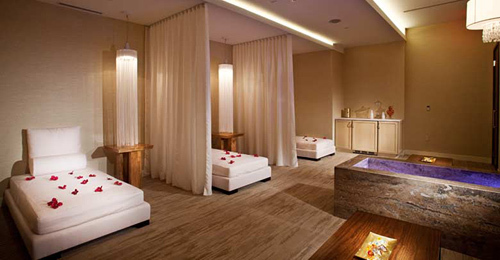 Both of us will enjoy a full-body massage side by side, making this the perfect treat for our honeymoon.